Palmitic acid is a fatty acid that functions as a surfactant, emulsifier, opacifying agent, and emollient in cosmetics and personal care products. Palmitic acid, or hexadecanoic acid, is the most common saturated fatty acid found in animals, plants, and microorganisms. As the name implies, palmitic acid is a major component of palm oil. It was first discovered in 1840 by Edmond Frémy in saponified palm oil. Palmitic acid can also be found in meats, cheeses, butter, and dairy products. Palmitic acid is naturally found throughout the human body. Excess carbohydrates in the body are converted to palmitic acid. One analysis found it to make up 21 to 30% of human adipose tissue (fat). It is a major, but highly variable, lipid component of human breast milk. Palmitic acid is also found in the stratum corneum of skin. The stratum corneum is the uppermost layer of skin and is comprised of corneocytes (dead skin cells) held together by a lipid barrier. In addition to palmitic acid, the lipid barrier contains ceramides, cholesterol, and several other fatty acids. In cosmetics and personal care products, palmitic acid functions as a surfactant, emulsifier, opacifying agent, and emollient. Palmitic acid functions as a surfactant, which is the short term for surface active agent. Surfactants work by lowering the surface tension between two substances, such as two liquids or a liquid and a solid. Surfactants also degrease oils and suspend soil, allowing them to be washed away. This is possible because while one end of the surfactant molecule is attracted to water, the other end is attracted to oil. Due to these properties, palmitic acid can be found in many different cleansers and body washes. Palmitic acid has the potential to be drying when used in a cleanser, but this depends on the other ingredients it is combined with and the cleanser’s pH level. As an opacifying agent, palmitic acid helps to reduce the clear or transparent appearance of products. Additionally, some opacifying agents are used in face makeup, such as foundation and concealer, for hiding blemishes. Palmitic acid is often found in moisturizers due to its function as an emollient. Emollients help to soften and soothe the skin, while also acting as occlusive agents. Upon application, occlusive agents form a protective film on the surface of skin. This film helps to prevent evaporation of the skin’s natural moisture and increases skin hydration by causing buildup of water in the stratum corneum. Additionally, palmitic acid is commonly used in hair conditioners and other hair products due to its emollient properties. It is also theorized that palmitic acid benefits the skin by helping to restore the skin’s natural barrier function. As mentioned above, fatty acids (including palmitic acid) along with ceramides and cholesterol make up the skin’s lipid barrier. Without these essential lipids, the barrier is weakened. A weak or damaged barrier allows harmful things like allergens, bacteria, and irritants to pass through into the deeper layers of skin, which causes symptoms of dryness, itching, and irritation. Ultimately, this can lead to the formation of skin conditions such as acne, eczema, sensitive skin, and even signs of aging. Skin care products that contain palmitic acid can help to prevent these problems. The safety of palmitic acid has been assessed by the Cosmetic Ingredient Review (CIR) Expert Panel. 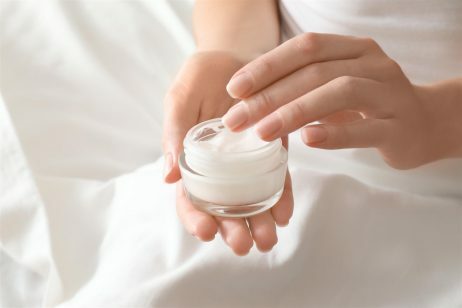 Cosmetic product formulations containing palmitic acids at concentrations ranging up to 13% were not primary or cumulative irritants, nor sensitizers. 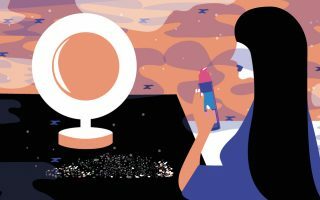 On the basis of available data from studies using animals and humans, the CIR Expert Panel concluded that palmitic acid was safe for use in cosmetic products. References: Wikipedia, “Palmitic Acid”, J Clin Invest. 1993 Aug;92(2):791-8, Cosmetic Ingredient Review, “Final Report on the Safety Assessment of Oleic Acid, Lauric Acid, Palmitic Acid, Myristic Acid, and Stearic Acid”.